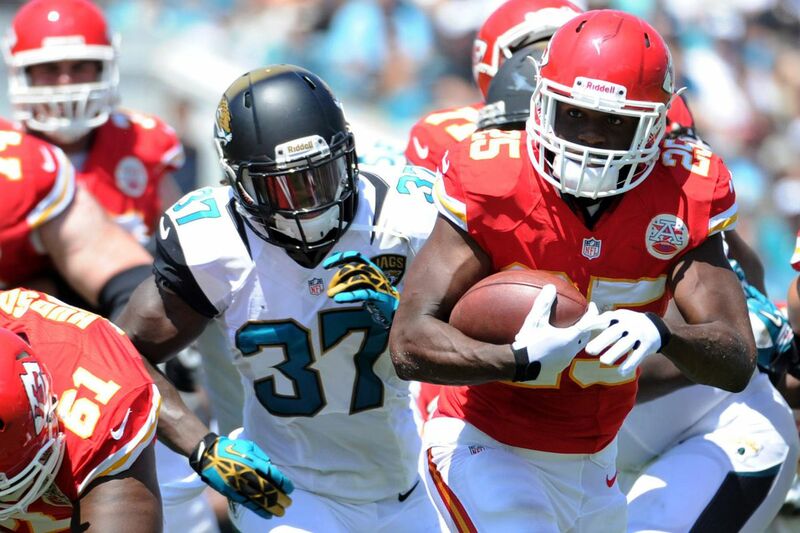 One of the bigger showdowns in the AFC this Sunday pits the Jacksonville Jaguars on the road against the Kansas City Chiefs. One of the bigger showdowns in the AFC this Sunday pits the Jacksonville Jaguars on the road against the Kansas City Chiefs. Kickoff from Arrowhead Stadium is set for 1 p.m. with CBS carrying the game nationally. Jacksonville quickly rebounded from its first loss of the year with Sunday’s 31-12 victory against the New York Jets as a 7.5-point home favorite. The week before at home against Tennessee, the Jaguars came up short in a 9-6 loss as 10-point favorites with BetAnySports. They are 3-1 both straight-up and against the spread with the total staying UNDER in their only road game of the year against the New York Giants. They won that game 20-15 as three-point favorites. Blake Bortles threw for 388 yards and two touchdowns and the running game added another 126 yards on the ground against the Jets in Jacksonville’s biggest offensive output of the season. The were 10 different players with at least one reception led by Dede Westbrook’s nine catches for 130 yards. The Jaguars’ defense did its part to secure the win by holding New York to 178 yards of total offense. The Chiefs are the only team in the NFL to post a 4-0 start both SU and ATS with Monday night’s 27-23 come-from-behind victory against Denver on the road as 3.5-point favorites. The total in that game stayed UNDER 53.5 points after going OVER the closing line in their first three games on BetAnySports’ closing line. Three of Kansas City’s first four games were on the road along with a 38-27 victory against San Francisco as a six-point favorite in its home opener in Week 3. The talk of the town with an early nod for MVP has been second-year quarterback Patrick Mahomes. With 304 yards passing and one touchdown throw against Denver, he has already thrown for 1,200 yards and 14 touchdowns in his first four games without tossing an interception. The Chiefs are ranked ninth in the league in passing with 297.3 yards per game and they remain the highest scoring team with 36.3 points per game. The matchup comes down to Jacksonville’s defense stopping the Chiefs’ offense. Given the short week for Kansas City, I am going to take the points and roll the dice on the Jaguars winning SU.